Lord Danger’s Mike Diva serves up a feast for the eyes in a new spot for Capital FM’s first nationwide breakfast show: Capital Breakfast. Conceived by agency Lucky Generals, the spot was brought to life in a unique production partnership between Lord Danger and Hungry Man UK. With Diva at the helm, Capital Breakfast is reimagined as a cereal, with Roman Kemp, Vick Hope and Sonny Jay taking the viewer through their extraordinary world, packed with some of the world’s biggest hit music stars. 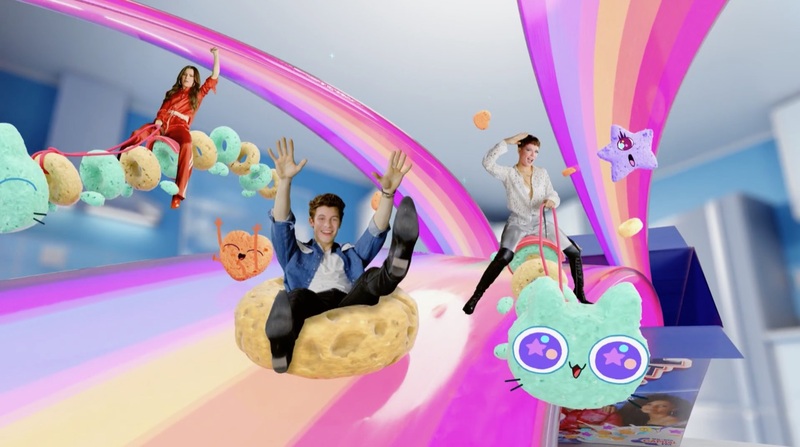 Little Mix glides through a multi-colored sky on a magical spoon, Liam Payne chases the Breakfast hosts riding a giant toy dinosaur, and Anne-Marie surfs through breakfast cereal on a jet-ski dodging Cheryl, Shawn Mendes and Halsey in her path. Capital is the UK’s number one hit music brand, playing the biggest hits from the hottest artists to 8.3 million weekly listeners. It latest offering, Capital Breakfast, starts listeners day off with a healthy meal of entertainment.